For a long time, economy cars were abysmal-looking penalty boxes; constant reminders to everyone that you were sad and broke. No more! Even if they’re getting eclipsed by crossovers, many of today’s smaller cars look lovely, like the Mazda3 or even the latest Toyota Corolla. 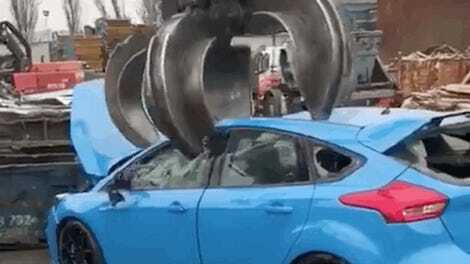 But the all-new 2019 Ford Focus may have them all beat. In Germany today, Ford took the wraps off the latest generation of its middle-small car, and it actually looks pretty sharp. Ford promises it will be the “MOST INNOVATIVE, DYNAMIC AND EXCITING FORD EVER”, which ignores a lot of Mustangs and GT cars, but hey, I don’t write those things. It is quite handsome, swoopy and clean. It’s a nice-looking car! This is, for now, just the European-spec Focus. 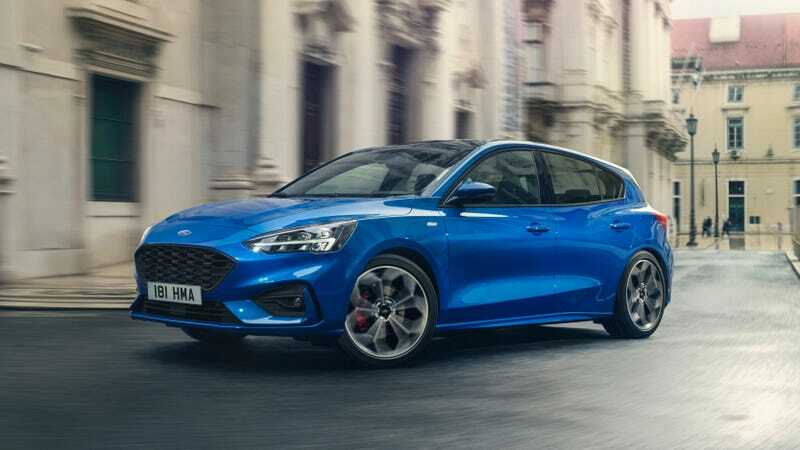 It includes the upscale Vignale model, the Focus wagon, the sporty-ish ST-Line (which isn’t a full-on real Focus ST; that comes later) and the Focus Active, a “crossover” hatchback that gets a couple extra inches of ride height and some body cladding so it’s aimed right at the Subaru Crosstrek. It’s the first car on Ford’s brand new C2 global platform, so it’s a big deal. Engine options include 1.0 and 1.5 liter gasoline motors or 1.5 or 2.0-liter diesel motors. And to really drive home how small cars aren’t sad shitboxes anymore, the new Foci include suites of technology like adaptive cruise control with speed sign recognition, headlights that predictively dim and brighten based on bends in the road, automatic parking, and a system that uses radar and camera to help quickly guide around objects at city speeds if a collision is detected to be imminent. We should see the Focus on sale in the U.S. next year. Obviously, not all of these variants (to say nothing of the diesel engines) will make it here, but I bet we can bank on the hatch and the pseudo-crossover. And as long as the Focus ST and RS make a comeback, I’ll be happy.